Many have started gracing their homes with a bamboo floor. Durability of bamboo floors then becomes an issue. 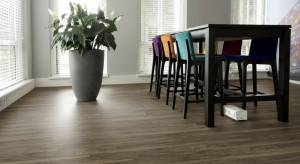 Just how durable is a bamboo floor and is it really suitable for a home? Would it be worth it to have bamboo flooring at home? Will it be a source of regret later on? True, I myself have come to question this. The answers I found were very promising. It seems that the durability of bamboo flooring is very reliable. Bamboo grows very fast and as it grows it gains strength. No matter what soil condition it is planted in, bamboo will stay strong. This characteristic will remain as it is even long after the bamboo is harvested. That I think is a very positive mark when talking about bamboo durability. Not only is bamboo flooring very environmentally friendly, it is also a dependable part of a home. At harvest, the bamboo’s green outer skin is removed leaving the bamboo stalk to be stripped or filleted. These strips will be the start of that excellent flooring. But before that, they are boiled and dried. Boiling bamboo means removing starch from it (anti-termite process) and removing its natural moisture which would cause problems later on if not paid attention to. By boiling the bamboo some more, it will turn darker, now becoming carbonized bamboo. With this, different hues are achieved and this helps greatly in enhancing the design of the bamboo. Now the process of making the flooring starts. This would involve gluing bamboo strips together in methods that would not only promote a design but strengthen the whole structure of bamboo flooring. Many a bamboo flooring out there are done in horizontal and vertical styles. These styles are definitely the best when it comes to enhancing the durability of bamboo flooring. Another style of bamboo flooring is strand woven. This is equally durable. Aside from the method of making the flooring, other steps are also taken to ensure the hardiness and the bamboo floor durability. Bamboo floors are treated in many ways in order to make it scratch resistant. Also, bamboo flooring is made more durable if it is made to resist moisture. Bamboo floors are even treated so that they become UV resistant. Now I say a bamboo floor is really durable! I do recommend all of you out there to try and have bamboo flooring. Bamboo flooring is very aesthetic and truly beautiful. Also, bamboo grows very fast, so it is very friendly to the environment. Harvesting it will not necessarily make the earth barren.